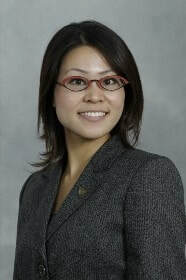 ​Shiho interned at XL Insurance in the US Risk Management Division in Exton, Pennsylvania. She lived in Paoli for her first month on the job, but found the public transportation unreliable and had to find a new way to commute. She spent the remainder of her internship commuting a two hour round trip on the regional train from Philadelphia. The commute was bearable for an internship, but Shiho definitely prefers living in an urban area as opposed to the suburbs and was much happier commuting from Philadelphia. In her daily activities, Shiho worked on a US Risk Management team that dealt with workers compensation, general liability and commercial auto policies. She updated data from loss triangles, workers compensation tax information, and used Excel to reconcile data from XL customers and reinsurance companies. In terms of bigger projects, Shiho made a portfolio analysis based on reports of XL excess and umbrella policies. Also she used macro to create a pricing tool modification by finding the cost of work injuries by state catastrophic case compared to non-catastrophic cases. She feels that her RMI 3501 class helped prepare her for the internship by introducing concepts like umbrella policies, risk bands, insurance market cycles, and reinsurance, whereas her experience with Gamma familiarized her with the industry and professional designations. Shiho found the interview process to be fairly standard and was not surprised by the requirements of the internship. She enjoyed some supplemental benefits such as, attending a Phillies game, playing volleyball at the annual barbeque and playing ultimate frisbee on Wednesdays. Shiho worked with very nice people and several successful female actuaries, and though she was always busy, she was never rushed. Her only regret is that she didn’t socialize and network with the other actuaries as much as she would like. Shiho would definitely recommend this company to other students.